Poetry is a force that possesses my body now and then and has done so since I was four years old. To steal a bit from Emily, poetry “is a thing with feathers,” and, for me, a thing that swims in the sea / that sits with you at the bottom / when you’re sunken in misery, / or you can sit with it / as its verses sit with you, / expanding your mind and mood / until it’s that thing you do. Gwendolyn Brooks is still my favorite because her earlier work appears simple, but it’s not. Her work is sly with depth. I wish I were as gifted and linguistically clever. She was also a listener who was willing to learn from others, even those younger than she. She aspired to speak about more than herself in her work and was successful in doing so. What good is an insular, inaccessible poet? Also, I’ve read that she was generous, always willing to help and promote other poets. One of my favorite poems of hers is “A Lovely Love,” which I recorded for Valentine’s Day for a Poetry Foundation promotion, but I also adore “VII. I love those little booths at Benvenuit’s” and “The Anniad.” Let me stop before I list her entire oeuvre. In swaddling clothes. Not like that Other one. Not lit by any fondling star above. Not found by any wise men, either. Run. 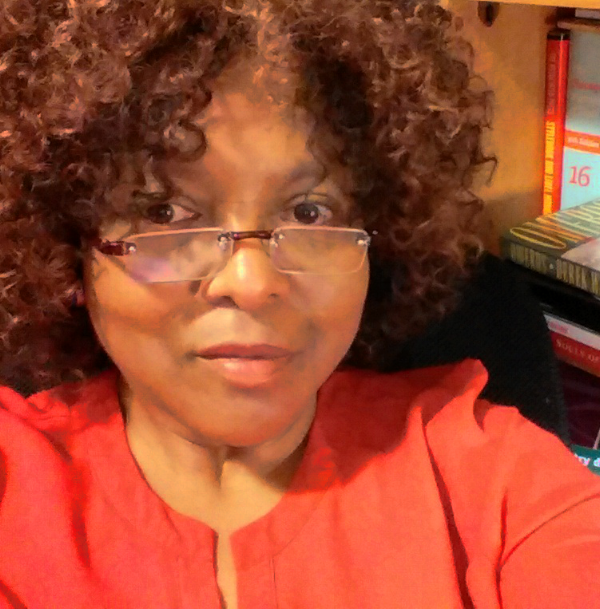 Nordette N. Adams is a published poet, fiction writer, and journalist. She grew up in New Orleans, moved away at 20, and returned in 2007. Listen to a recent interview with Adams, Andy Young, and Julie Kane on Sue Larson’s radio show, The Reading Life, WWNO.